Despite not being much of a name in the US, Michael Hill has quite the presence around the globe. 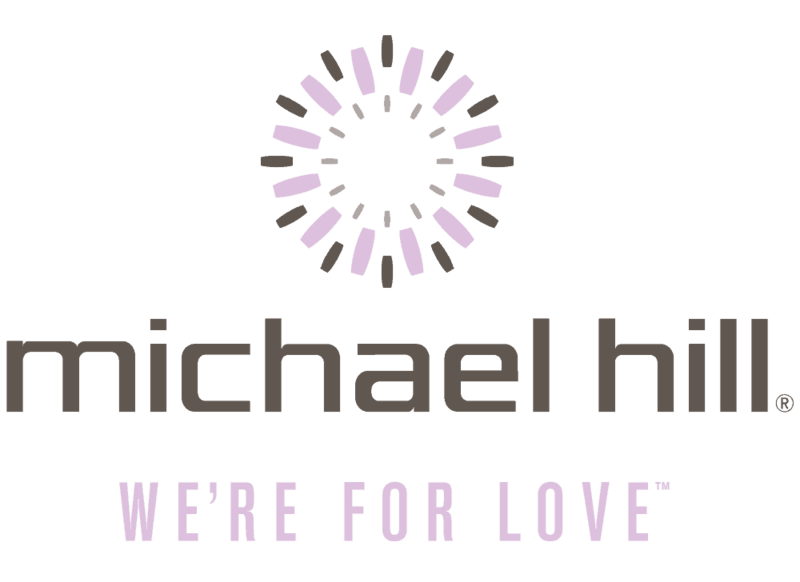 Michael Hill started it all 40 years ago by opening their first store off the beaten path in Whangerei, New Zealand. After growing their presence in New Zealand, Michael Hill landed in Australia and quickly gained traction there. In 2002, Michael Hill made the voyage over to North America. Their main presence is in Canada, with a little bit in the United States. I just came home from a week of secret shopping. Through four cities, Jenny and I visited 22 shops. Michael Hill was, by far, the worst experience of all the stores. I couldn’t find a single redeeming factor to consider going there. We went in to their location at the Square One mall outside Toronto. I genuinely do not understand why people would go there. It felt like we were fighting for space at an all you can eat buffet on Mother’s Day. The service was non-existent. We tried getting someone to show us diamonds, but that just wasn’t happening there. I felt like the super passive guy trying to get the bartender’s attention on a Friday night. Alas, we were only able to window shop. Since I wasn’t able to look at them closely, I just took a few pictures of their offerings in the showcase. I will look at the details of two of the four diamonds in the photo on the left. Before we break down all the ways these diamonds are bad, lets also note that we will be comparing these diamonds to GIA certified diamonds later (GIA is a vastly superior certificate). The first diamond is a 0.53ct round H color I1 clarity in a 14kt white gold setting for C$2,799. The quality is incredibly low (I1 is the bottom of our recommendation range and thats if its graded I1 by a more stringent laboratory). But the worst thing about this diamond is the cut. The GSI reports don’t give you all the information, but they give you enough to know this is off the charts bad. A well cut round diamond has a depth percentage no higher than 62.5% and you should never exceed 62.9%. This diamond has a depth percentage of 65.8%. That means the diamond will not only be far less brilliant, but it will look much smaller than a well cut diamond of comparable size. Their lack of quality extends to other cuts as well. The second diamond is a 0.71ct G I1 princess cut in a 14kt white gold setting for C$4,299. Again, the quality is low and the cut is atrocious. We generally recommend princess cut diamond to have a depth no higher than 76% (and we prefer it being under 74%). This diamond comes in at 81%. Another issue with this diamond is the shape. Princess cuts are supposed to be square. We do not recommend princess cut diamonds with a L:W ratio over 1.04. This diamond had a L:W ratio of 1.08. You would think with such poor quality and such an underwhelming in store experience, at least the price should be ok, right? Unfortunately they rank at the bottom for that as well. It is difficult for me to make comparisons here because companies we recommend just don’t offer such low quality product. But as you can see, they are still obscenely overpriced. 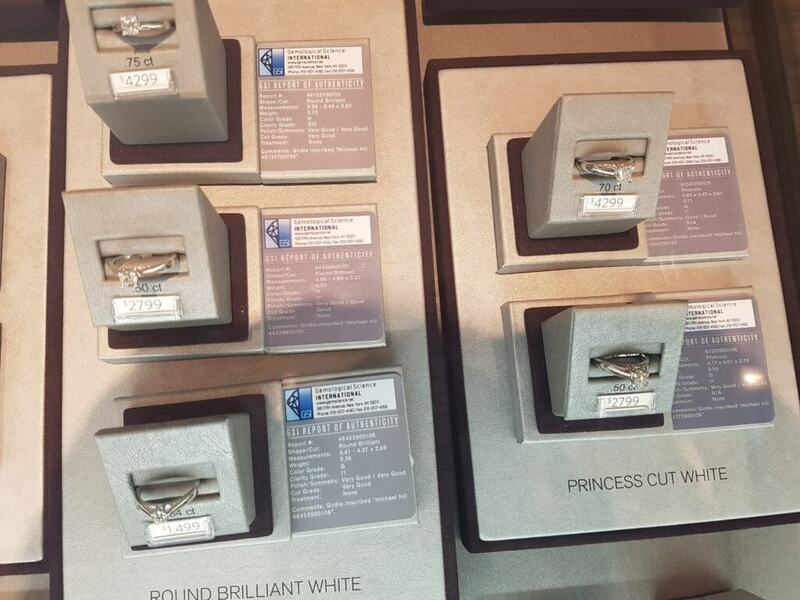 Take a look at this 0.70ct Princess cut from Blue Nile. If you open it, you will see that it is superior in every single way to the Michael Hill diamond (better color, better clarity, better cut and a better certificate). You can also add this comparable solitaire setting. Despite being far superior, the price for the Blue Nile ring comes out to C$1,862. That is 57% cheaper than the Michael Hill ring. Those numbers just don’t make sense. The round diamond didn’t fare much better. Take a look at this 0.50ct Round diamond from Blue Nile. Again, it is superior in every aspect of the diamond. Yet this one comes in at half the price of the Michael Hill choice as well. Even if you didn’t want to go through the stress of picking out the diamond and setting on your own (which we would be happy to do for you if you contact us), you can get one of their preset diamond rings and still come out way ahead. Some of our readers have asked us specifically about products they viewed on Michael Hill’s website. Originally I was planning on ordering something from them online to compare as well. But given just how poorly their store performed, I didn’t see a point in doing so. Here is a 0.30ct Princess cut solitaire from their website. The price is C$1,999. Even giving them the benefit of the doubt that the quality is decent, the price is still ludicrous. Here is a comparable diamond paired with this setting. You can get this ring for C$758. The Michael Hill ring is more than two and a half times the price! It is no secret that we think you are far better off buying online. It’s quite obvious based on our comparisons above that you get a better quality ring for half the price buying from Blue Nile. But even if you weren’t going the online route, they were the worst store in the mall we were in. Any other place would have been a better option.